Imagine a place that inspires freedom and joy, relaxes you and energizes your spirit. Sounds good? Isn't it?. Well, it's right here, and it is waiting for you to Escape, to Relax and to Dream. At the Tacoma Lakes Villa in Maine, time stops. It has another meaning. At the peninsula attached to the Private Estate reside a charming couple of loons. Come Experience 'Life as it should be'. You deserved it. Tacoma Lakes Villa is a remarkable and gorgeous 3,500 sq ft secluded Lake front Villa with an outstanding 500 ft of Serene Waterfront with private beach, 5 Acres of Peace and Tranquility, 3 elegant Bedrooms and 1 Master Bedroom, a Splendid Living room, a Lovely large modern gourmet Kitchen with a five-seater island's eating counter and all the desired appliances needed to express the Chef in you, a boudoir upstairs to read quietly your favorite book or just to be alone with your thoughts, a huge vaulted ceiling 3 Car Garage, and Boat garage, a Playhouse, park benches in the field, picnic table, 40' long Dock, a Bridge over the Brook, a 12' x 16' screened Pine Porch, a 12'x 29' Deck, etc. Central Air is available throughout the house. During September through November, come appreciate Maine and its wonderful and colored settings for fall leaf peeping. The foliage is magnificent over there. And in Winter, not only that we are close to many big ski resort, but also if you decide to have a quiet day at home, you can enjoy our Sauna directly at the Villa. It is located in Litchfield, Maine and is about 2hrs from Boston, 1h30 of Sunday River Ski Resort, 50 min of Old Orchard Beach, 40 min of Portland (Airport), 25 min of Lost Valley Ski Resort and 20 min of Freeport (home of outlet stores such as L.L. Bean, Gap, etc. ), 15 min of Augusta (Maine's Capital City) and 10 min of Lewiston, Maine. The Estate overlooks one of the best, clearest and cleanest lake in Maine: The Tacoma Lakes (a group of 4 lakes linked together). It contains one of the best bass fishes (large & small mouth), perch, brown trout, pickerel and sunfish. Flat screen TVs, Wireless High Speed Internet are available for guest's convenience. Two golf courses are less than 5 min away. If you like Lobsters, clams, crabs, fishes or mussels, this is the place to be. There are several places to buy lobster in the area. You can even order them already cooked( boiled, steamed, etc.) to bring and eat home. And, if you prefer to eat out, we can provide you information with all the many choices for terrific seafood dinners. So, Come enjoy Nature and the Wildlife (land, lake, loons, ducks, deer, birds and the fishes, etc...). There is an indoor Jacuzzi inside the house and a Sauna. Amenities:Central Air Conditioning, Jacuzzi, Sauna, Ceiling-Fans, Heating, Fireplace, Wood-Stove, Firewood, Deck-Wood, Screened-Porch, Outdoor-Grill-Gas, Dishwasher, Microwave, Refrigerator-Full-Size, Ice-Maker, Cold-Water-Dispenser, Filtered-Water, Oven, Stove, Toaster, Coffee-Maker, Blender, Iron, Lobster-Pot, Washer, Dryer, Laundry, Bath-Linens, Bed-Linens, Beach-Chairs, TV+Dish, DVD-Player, Video-Library, Radio Stereo CD-Player, Phone, Internet/DSL-Access, Internet/Wireless-Access, Walkway-to-Water, Local-Maps, Restaurant-Dining-Guide, Local-Activities-Guide, Parking-Off-Street, Sunsets-Exceptional, Sunrises-Exceptional Views-Exceptional. Beautiful home, with amazing amenities. The home was absolutely gorgeous, the sauna and hot tub were relaxing. Ed the owner was tentative and was available for any question/concerns about the property! highly recommend visiting this amazing home! The lake house was perfect for our family vacation. We enjoyed the lake with its beach area and dock. The lake was great for kayaking and relaxing on our floats . The yard was large and we had fun playing yard games. The house was spacious and comfortable. The owner was hospitable and easy to contact for any questions we had during our stay. Some friends and I stayed for couples days, and we all love it, the house is great and the lake has clean water and it is great to swim, Kayak, JetSki and much more.... always on top of our list. Great accommodations all around and beautiful location. What made it memorable was the hospitality of the owner (Eddy) and staff! They went above and beyond and I appreciated so much as I rented the villa to house my family for my daughters wedding that was taking place nearby. Beautiful, clean house with a fantastic host. We spent our New Year’s here and had a great time. The house looks even better than the pictures, check-in was very easy and Eddy was the best. Plenty of things for entertainment (huge box of DVDs and a sauna), awesome location and a truly wonderful house. P.S. There’s even an extra room and a running machine downstairs! Not enough good words to describe it, I highly recommend! Beautiful lot of land- plenty of space! My family spent the weekend and had an amazing time! The yard is so large- plenitude of room for all kinds of games for young and old! The lake was quite and warm but shallow. I would recommend bringing a canoe or kayak if you want to really use the lake. Bring water shoes- Some areas had large rocks and sticks. The inside of the home was very spacious- plenty of room for my family! Although I can't attest to this myself, one of my guests frequented the sauna and said it was one of the best he has ever used! We will definitely vacation here again! 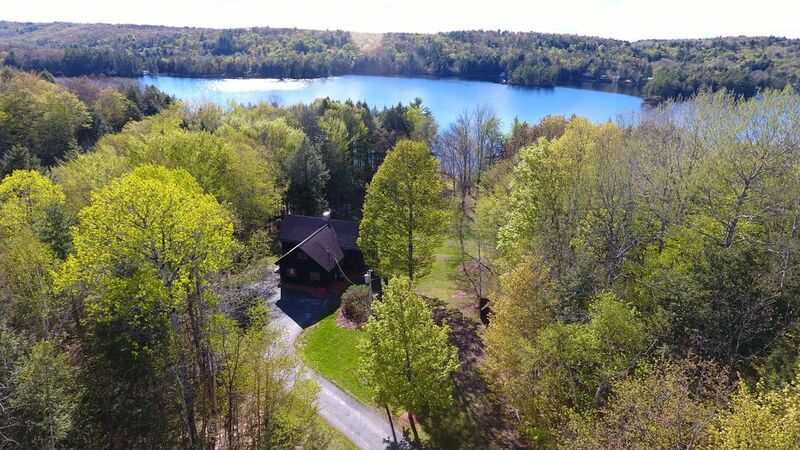 Tacoma Lakes Villa is one of the Best 4 seasons Maine vacation rental villa and it awaits you and your family for the best 4 seasons getaway-retreat experience in your Life.